Dr. Nicole Tsang sees primary care as an active partnership with her patients, with a goal of focusing on education, wellness and disease prevention. During her residency at UCLA, she saw patients from all walks of life, leading to a wide scope of training. 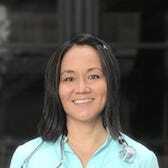 At Circle Medical, she practices full spectrum of primary care and treats her patients as a whole, with a particular interest in behavioral health and musculoskeletal issues.Born in San Francisco and raised in the East Bay, Dr. Tsang understands the environmental and workplace culture that is unique to the Bay Area. She enjoys cooking, yoga and international travel. Medical services provided by Circle Medical Group of California, an independent medical practice. CA Medical Board permit #FNP545386.